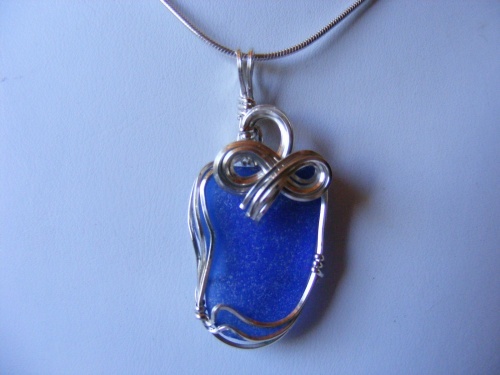 This really pretty piece of authentic seaglass is deep cobalt blue and sculpted in sterling silver bow like design. Great piece for summer wear, this is for those of you who perfer smaller jewelry. Piece measures 1 1/2" from top of bail to bottom and 3/4" wide. Comes with a sterling silver snake chain.